Howl in a bag full of spins! Go for daily Free Spins for the rest of the year! Get ready for a week full of howling free spins when the wolf and his gang are on the loose. 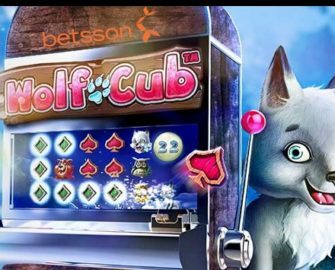 Every day this week when you play for at least €10 on Wolf Cub™, 10 Free Spins will be added automatically to the game. Come back and play every day this week for up to 70 Free Spins. But that’s not all. Additionally, for every €10 wagered, you’ll get a ticket to a daily draw where 5 players will win 25 daily Free Spins for the rest of the year across a range of NetEnt slots. There will be one draw for every day of the week, producing a total of 35 winners. The more you play, the more tickets you will collect and the bigger the chances to win. Exclusive for players from Finland, Germany, Iceland, Netherlands, Norway, Peru, Poland, Sweden and Switzerland. 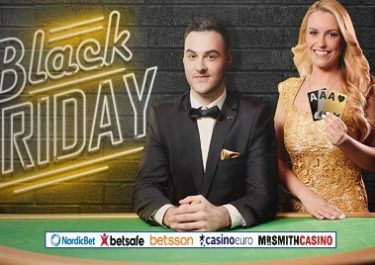 Get ready for a week of Free Spin madness at Betsson. Join the Wolf’s gang on the hunt for daily Free Spins and qualify for the 7 raffles for 25 Free Spins every day, for the rest of the year. Earning Daily Free Spins: Wager €10 on the eligible game to instantly receive 10 Free Spins. This can be repeated every day of the campaign for up to 70 Free Spins for the week. Wagering requirement is 25x FS winnings within 3 days. Earning Raffle Tickets: Collect 1 ticket for every €10 wagered on the eligible game, with no limit to the amount per player. Tickets are only valid for the day’s draw and need to be earned again for the next draw. Free Spins Raffles: Every day, Betsson will draw 5 tickets from all eligible entries, each winning 25 daily Free Spins across a range of Netent slots, for the rest of the year 2017. A total of 35 winners will be drawn in 7 raffles throughout the campaign. Winning players will receive 25 Free Spins each day by 15:00 CET until 31st December 2017. This can be used on the listed Netent slots, which Betsson will publish and update in due time. Wagering requirement is 25x FS winnings within 3 days.